The other notable characteristic of the people featured in this book is a marked lack of loyalty. That is, among the SLA there seemed to be cohesion – sort of, for some, sometimes – but Patricia Hearst’s erstwhile fiancé Steve Weed seems to have been the weediest and weaseliest of weeds, universally despised (including by the author – and me). And of course Patricia herself turned on a dime, bending with whatever breeze most benefited her. 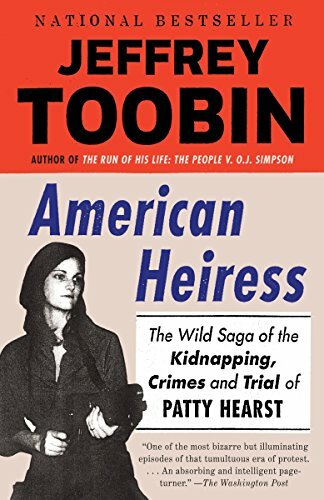 Jeffrey Toobin’s sympathies obviously lie with her parents, most especially her father Randy; it’s natural, and I agreed, but it’s also a little startling to see such blatant bias in what I expected to be a journalistic biography/history. It’s a story of how the idealism of the 60’s died (“Nixon might not have brought the Vietnam War to a close, but he did end the draft. Freed from the threat of conscription, many thousands of otherwise apolitical young people drifted away from the antiwar movement.”) The sheer number of bombings in the country is shocking in this day of modern terrorism; the world hasn’t gotten more dangerous, in a way, but the danger now tends to come from different sources. 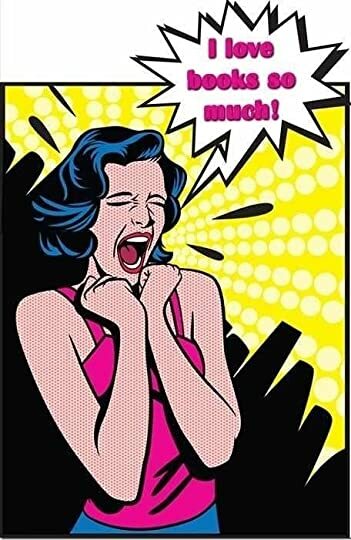 Jaded cynicism seems to have been the rule in the 70’s, and is embodied by the … I hesitate to say “heroine” of the story. Patricia, not Patty, declined to be interviewed for the book – which I have to say, given the tone of the book toward her, might not have been a good idea. It reminded me a little of the book about Mary Decker and Zola Budd; Decker refused to participate, and Budd was given a far kinder treatment in the book. Toobin’s attitude toward Patricia wasn’t quite so blatant, but he was less than kind in places; where there is any doubt as to her motivations or honesty or level of compulsion, he tends to land on the side of doubting her. There were some side angles in the book which took me by surprise. I didn’t know anything about the “PIN” (People In Need) program that was initiated by the initial ransome demands, and the whole thing was disheartening. (For one thing, this Reagan quote: “It’s just too bad we can’t have an epidemic of botulism.”) The psycho contingent connected with the project was surprising as well – I won’t spoil it in case it’s news to you as it was to me, but … gosh. The book covers how the kidnapping came to happen, one version of the events of the long period of Patricia’s captivity-slash-participation and how it all came crashing down, and the repercussions to all involved. It’s not a great book; I’m not sure it’s even all that good a book. But it was entertaining, and it’s good to have a gap in my education filled in. —Stupid is at least as scary as smart. —Building bombs generates team spirit. —Just because there’s no smell of cyanide doesn’t mean it’s not there – you might just be one of the ten percent who can’t smell it. —Always know where your shoes are. —Always know where your Molotov cocktails are. —Change your story enough times, and no one – possibly including you – will ever know the truth. This entry was posted in biography, books, history, non-fiction and tagged American Heiress, Jeffrey Toobin, Patricia Hearst, Patty Hearst, SLA, Symbionese Liberation Army. Bookmark the permalink.